**Sizes are true to pre-pregnancy US sizing guides. 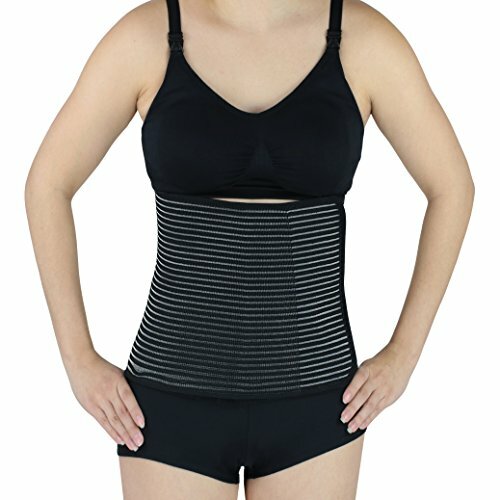 This wrap features comfortable, breathable material designed specifically to help the body quickly shrink back to its normal pre-pregnancy size. Elasticity allows for the belt to be adjusted for tightness and continued use throughout the recovery process. For best results, use immediately after natural delivery or as allowed by your doctor. Discuss with your doctor before use after c-section. Secure over a thin shirt for maximum comfort. Use during exercise for added support. *Discuss with your doctor before use (both natural delivery and c-section). For best results use for up to one month after delivery consecutively, taking off only to shower or if discomfort occurs. Afterwards, use when needed for spinal support or during exercise. Secure over a thin shirt for maximum comfort. *If discomfort occurs, remove or loosen the belt. If you have any questions about this product by Luxe-Phillips, contact us by completing and submitting the form below. If you are looking for a specif part number, please include it with your message.